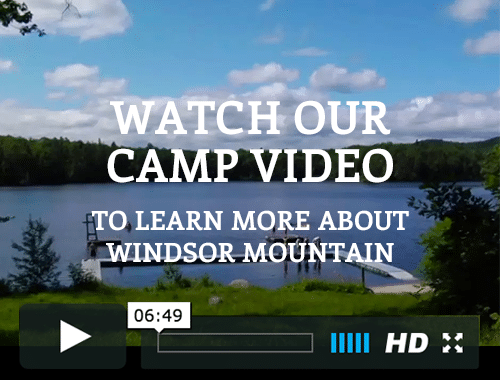 Where is Windsor Mountain Summer Camp located? We are located in southwestern New Hampshire, midway between Keene and Concord, approximately 1:45 minutes from Boston and 4:15 from New York. 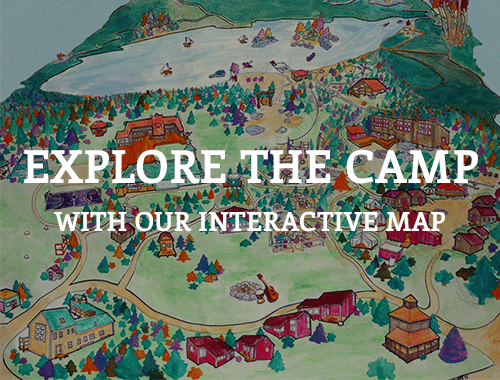 How many campers attend Windsor Mountain? Each of our two sessions enrolls approximately 200 campers originating from the United States and countries around the globe. Our two traditional sessions are 3.5 weeks and run in July and August. We also offer two-week programs at the beginning of each traditional session for those campers who cannot attend the full-length session. 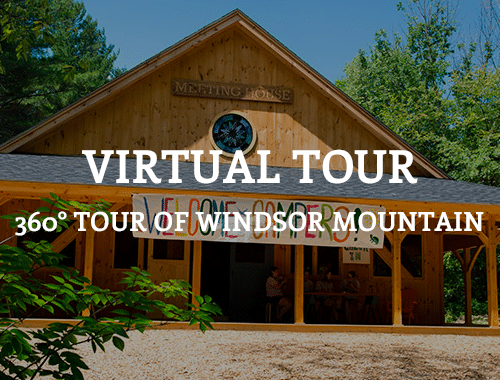 On average, Windsor Mountain has a camper to staff ratio of 3 to 1. Do you perform criminal background checks on your staff members? Yes, we do background checks on all of our staff before the start of the summer. Do you offer transportation to/from camp? Yes. For those families interested, Windsor Mountain arranges for buses and vans from New York City, Westchester, Hartford, and Boston. We offer airport pick-up at Logan Airport (Boston) for international flights, and Manchester Airport in New Hampshire for domestic flights. 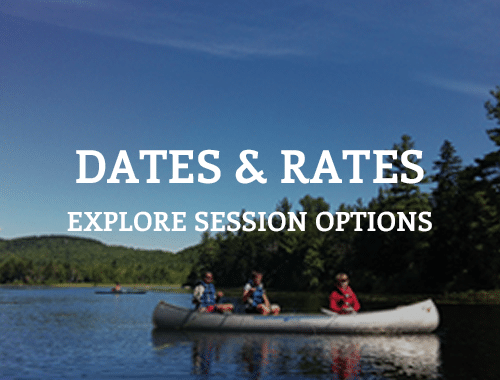 Driving directions and reservation forms for buses and vans are included in the enrollment packet mailed to campers in the spring after the application and deposit are received. Do you accept bunking requests? Campers who wish to bunk together should inform us of their bunking requests. While we usually honor these requests, sometimes extenuating circumstances will necessitate other living arrangements. 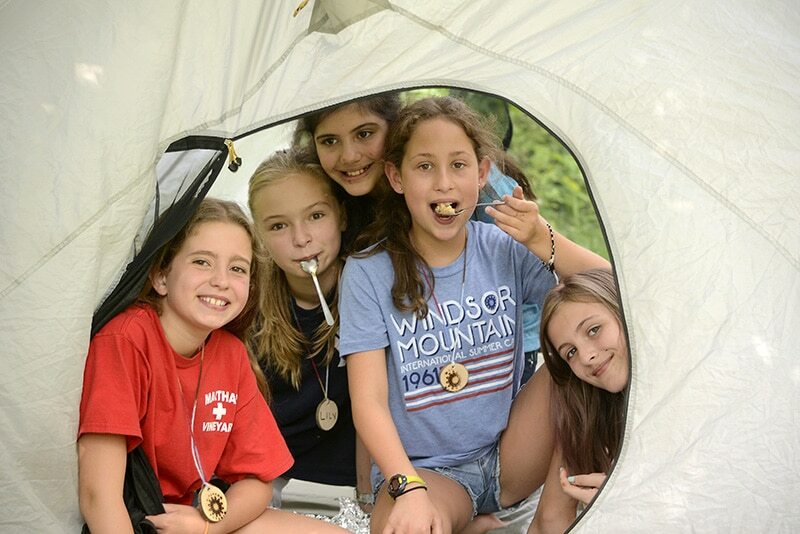 Windsor Mountain encourages new friendships, and the community is small enough that friends who come to camp already knowing each other can spend ample time together even if not placed in the same bunk. Do you have around the clock medical care at camp? Yes, we have at least one Registered Nurse on duty at all times and a nurse’s assistant. Also, many of our staff are certified in CPR and First Aid. Are there lifeguards on duty during all waterfront activities? Yes, trained lifeguards are on duty to supervise every Windsor Mountain sponsored waterfront activity. What is the food like? Do you accommodate campers with food allergies? Windsor Mountain meals are served in our beautiful dining hall, with healthy, creative and delicious “home cooking” as the focus. We rely on locally-grown ingredients as often as possible, bake our own bread and supply fresh fruit and snacks. A vegetarian option is available at every meal. We are sensitive to and experienced with campers who have dietary restrictions and food allergies and work closely with them and their families to provide suitable alternatives and accommodations. Please feel free to call us with specific questions about food allergies. Homesickness is not unusual, especially among new campers during the first week. 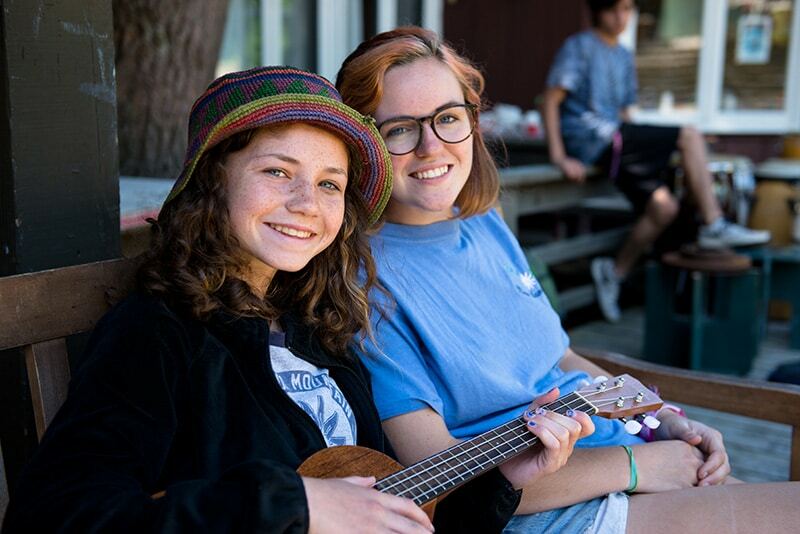 If this occurs, our experienced and caring staff will do everything possible to help campers adjust to experience and see them through a successful and rewarding session! In almost all cases, homesickness is gone by the second week. Please contact us for more details on our policy and experience in helping campers and their parents through this adjustment period. How will I communicate with my child during the summer? In order to help campers develop a healthy sense of independence, we strongly encourage parents, family members and friends to communicate through the old fashioned art of letter writing. Except in cases of emergency, parents are not permitted to speak with their campers on the phone. Campers, in turn, are encouraged to write home at least once a week. If it is urgent for a parent to speak with their child, they can call the office and arrange a time to do so. International campers can send and receive letters through e-mail. What happens on the last day of each session? We host a Folk Music Festival on the last day of the July session and a Theatre Festival on the last day of the August session. Each day begins with morning meeting, followed by a delicious and plentiful brunch to sustain you through the performances after which parents are free to take their children home. Does Windsor Mountain offer financial aid? How can I learn more about Windsor Mountain? To schedule a home visit or learn about when we will be visiting your area, please call us at 800-862-7760. You may also call at any time to arrange a tour of camp. We’re all young enough to go to camp! For more than a decade we’ve invited both new and returning Windsor Mountain families to join us at the end of each summer for five days of roasting marshmallows, hiking, swimming, and counting the stars. It’s a great way to “unplug” and to spend time with the family away from the bustle of everyday life. You’ll stay in our dorms and cabins, our cooks will fill your bellies with fresh greens and tasty food, our talented staff will keep up the energy level with games, hikes, boating expeditions and more. Or you can skip the organized program and create your own adventures. Childcare is available during the day and evening so parents can head out on a hike alone or enjoy a quiet meal. Come make special memories with the most important people in your life.